Ready to shake things up? 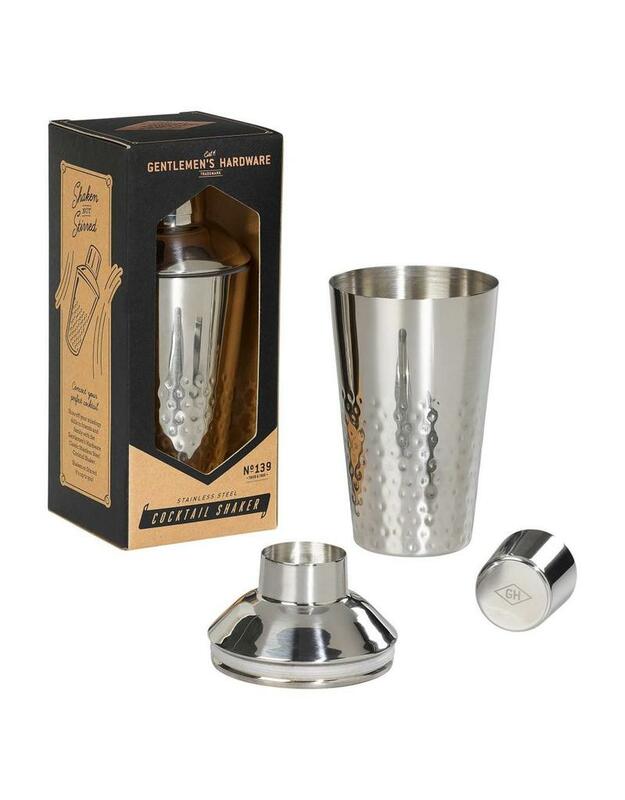 This stainless steel cocktail shaker has that charming hammered-effect design that'll look great at any gathering. 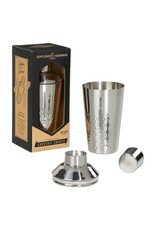 Branded lid and strainer are included.